The 800 metre long trail to Barbour Falls parallels Barbour Creek, a tributary of the Murray River. Harry Barbour (1907 – 1988) served the area as a Forest Ranger from 1947 to 1972. A spur-trail leads down to creek level at Barbour Pool. 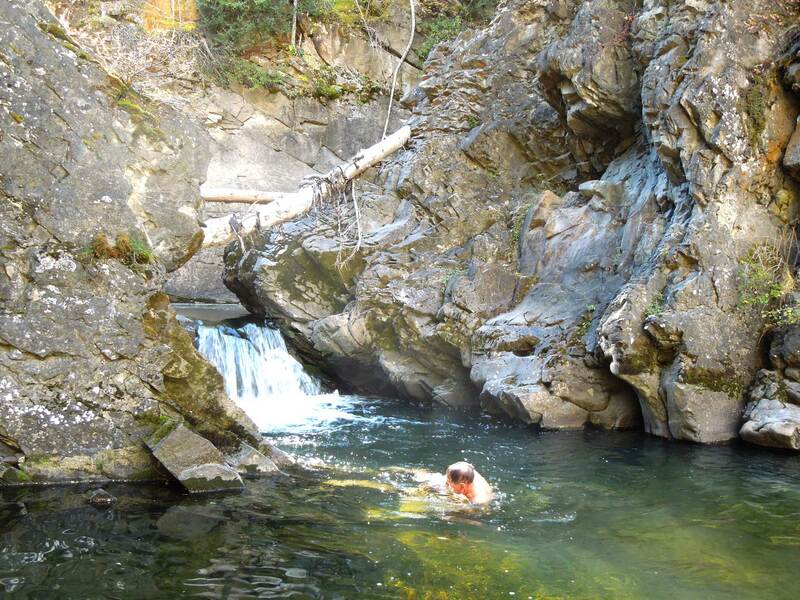 At Barbour Falls the creek cascades down a particularly resistant layer of bedrock into a deep pool. Downstream from this lies Barbour Canyon, lined by near-vertical rock strata which are sometimes impressively folded. Back-country skiing up the canyon to the foot of Barbour Falls provides another adventurous way of experiencing this geological attraction. Along this stretch, the creek flows through rock layers of the Minnes Group. This rock formation straddles the Jurassic-Cretaceous boundary and is approximately 140 million years old. 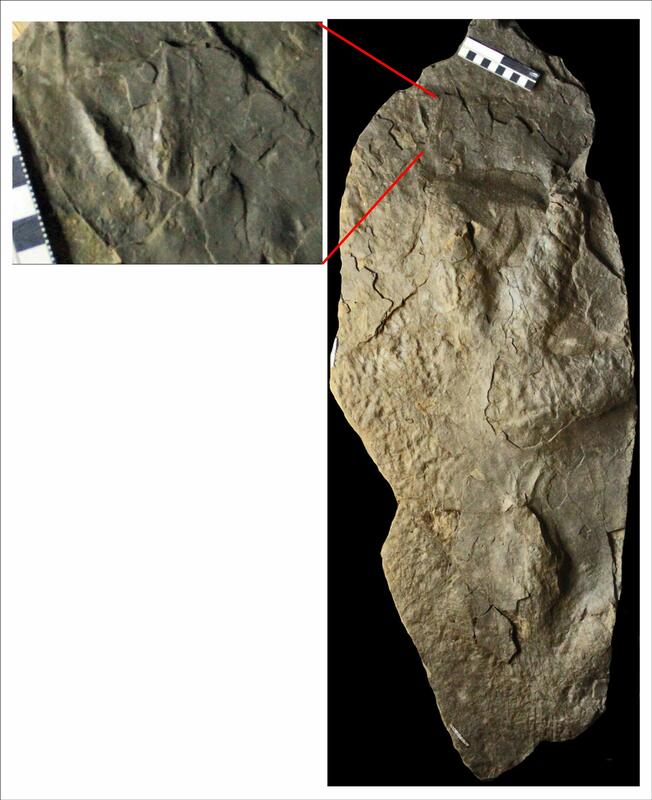 Elsewhere in the Tumbler Ridge Global Geopark, dinosaur trackways and bird tracks have been discovered in rocks of the Minnes Group, and have been recovered by helicopter or replicated with latex. These include some of the oldest known bird tracks in the world, and the northernmost evidence of sauropods in the world. 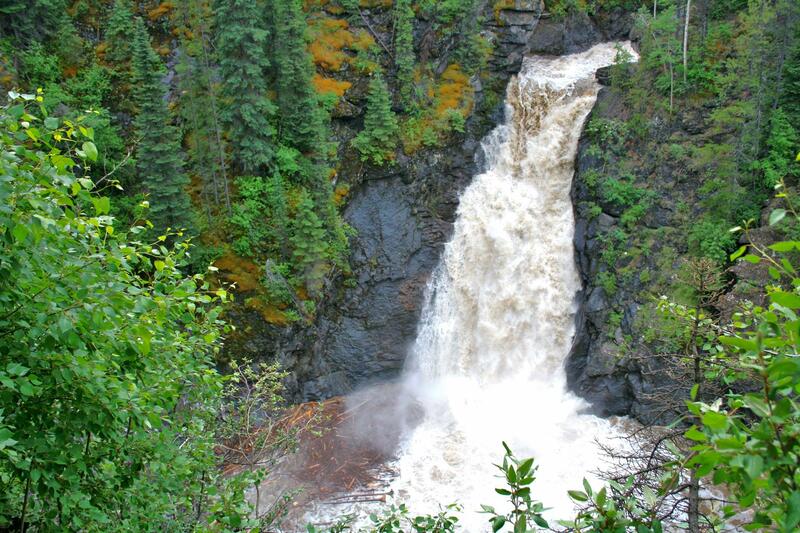 Rock formations in the Tumbler Ridge Global Geopark generally follow an orderly arrangement, with the oldest layers in the mountains to the southwest and the youngest layers in the foothills and plateaux to the northeast. 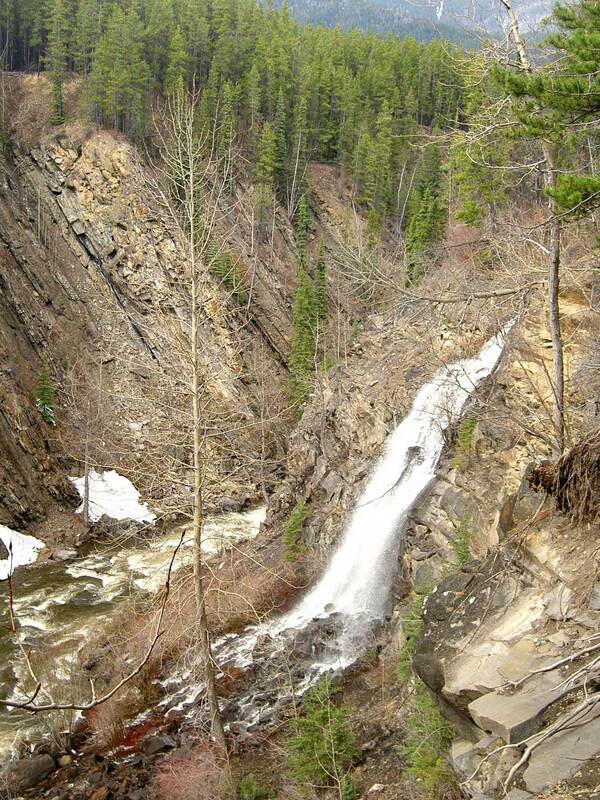 The rocks here are therefore older than the Upper Cretaceous rocks around Tumbler Ridge, but younger than the Mississippian and Triassic surface rocks around Kinuseo Falls. Rock layers in the Minnes Group in the region often display evidence of the forces involved in the mountain-building process: they are often steeply tilted, with rock folding in tight anticlines and synclines. In keeping with this trend, the rock layers in Barbour Creek are steeply dipping, and as the creek erodes through them it creates attractive cliffs and overhangs. The north-facing bedding planes are moist and never receive direct sunlight, and are therefore usually covered with mosses and lichens (for example, at Barbour Pool).